Contrary to recent predictions, a report on Wednesday claims the biggest changes coming to Apple's next-generation iPhone models are an upgraded "A11" SoC and new red color option, with the forthcoming handset likely to carry over the design language introduced with iPhone 7. Citing sources within Apple's Taiwanese supply chain, Mac Otakara reports the company is expected to stick with the usual "s cycle" upgrade path for next year's "iPhone 7s" and "iPhone 7s Plus." Specifically, the base 2017 iPhone lineup will retain iPhone 7 styling and boast enhanced internal components like an updated processor. A new red colorway is also a possibility. Apple has followed a similar annual hardware refresh pattern —stuffing new innards into last year's chassis —since the introduction of iPhone 4S in 2011. Today's report runs counter to predictions from well-connected KGI analyst Ming-Chi Kuo, who last month forecast each of Apple's next iPhone models to incorporate an all glass chassis design with integrated wireless charging. Mac Otakara's source said both standout features are unlikely to debut in 2017, at least for the "iPhone 7s" series. According to Kuo and other industry insiders, Apple is primed to debut a third model alongside its usual 4.7- and 5.5-inch smartphone offerings. The special edition variant will be positioned at a price point above the "iPhone 7s" series and feature a 5.1- or 5.2-inch OLED display with "invisible" home button, all-glass housing, wireless charging and other exotic technologies. Notably, Kuo in a separate research note said he expects demand for the glass-backed 4.7-inch iPhone and larger OLED iteration to drive sales to "unprecedented" highs, suggesting a return to growth for Apple's smartphone segment. Mac Otakara has a strong track record when it comes to iPhone predictions, however. 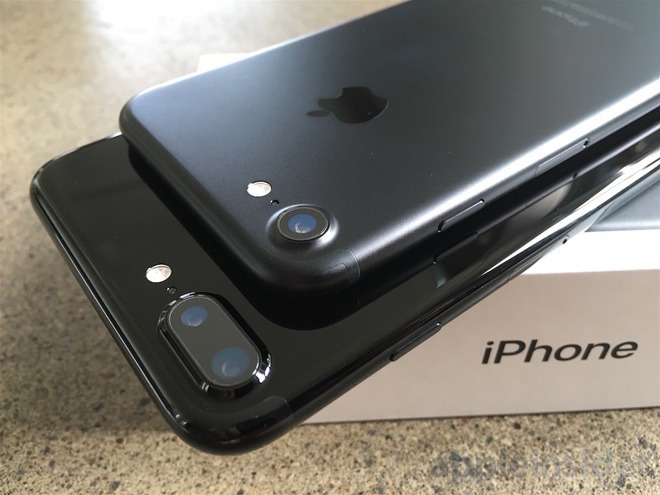 The Japanese blog was first to report on iPhone 7's 3.5mm headphone jack deletion, as well as this year's Jet Black color option.